Eliminate roaming fees when you travel abroad. Switch to a carrier offering better rates for the same service. Save money and increase the value of your phone. How to unlock my HP phone with doctorSIM? Order your unlock code from doctorSIM online in 3 simple steps. Then follow the simple instructions we'll send to your e-mail to insert the unlock code and release your HP from its current network. What information do I need to unlock my HP cell phone? · The network carrier your HP is currently locked to. · IMEI number: 15-17 digit number. · A valid e-mail address. The International Mobile Equipment Identity (IMEI) is a unique 15-17 digit number given to every cell phone which can then be used to check information such as the phone's country of origin, the manufacturer and its model number. To obtain your IMEI number dial *#06# on your HP's keypad. Your 15-17 digit number will appear on the screen. Only use this method for obtaining your IMEI number and not, for example, from the instructions on the box the cell phone came in or some other source as the numbers may not coincide. I want to unlock my HP from AT&T so I can use it on T-Mobile. When submitting my unlocking request should I select AT&T or T-Mobile? You must select the network from which you purchased the cell phone or to which it is currently locked (in this case, AT&T). Do not select the network you are switching to (T-Mobile). As the unlocking process is fully automated, we can only offer a ten-minute window for modifying or canceling requests. After this grace period, the request is processed and it won't be possible to receive a refund. I am going on a business trip to Canada. 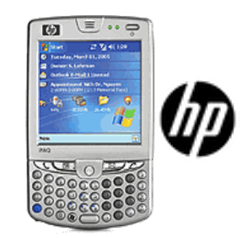 Will my unlocked HP phone work on a Canadian network? Yes, an unlocked cell phone can be used on any compatible GSM network in the world. You have nothing to worry about while in Canada as all Canadian networks use GSM technology. All you need to do is buy a SIM card locally and switch it with your current one. What are the advantages of unlocking my HP phone with doctorSIM over a local store? The professional IMEI-based unlocking method used by doctorSIM is the official and recommended method by HP and the network carriers themselves. It is totally legal, permanent and doesn't void the cell phone's warranty. In addition, as the entire unlocking process is online, you do not have to leave your HP at the store for a number of days while it is being unlocked. My HP phone has been blacklisted by the original network. Can I still unlock it? Yes, you can network unlock a blacklisted HP, however, unlocking a cell phone will not remove it from the blacklist. Reporting a cell phone is an additional security measure used by the original network when an HP has been blacklisted due to loss, theft or outstanding bills. You will need to contact the original network for assistance. When a cell phone has been blacklisted, you will not be able to use it to make or receive calls but you will be able to connect to the Internet and send and receive text messages. Your HP may work in another country, however, doctorSIM will not be held liable if not the case. Maintain the warranty of your HP. Multiple 100% secure payment methods. Zero risks of damaging your cell phone. No technical knowledge required to insert code. Easy-to-follow instructions sent to your e-mail. Unlocking keeps your photos and videos stored on the phone safe.